How Trump scandal affects Fed interest rate hikes? Yes or no? With all this Trump-Comey scandal going on, it’s more and more difficult to understand whether the Federal Reserve will continue to hike rates this year or take a step back and opt for a wait-and-see positioning. According to CME Group’s FedWatch tool, chances for a rate move at the Fed’s June 13-14 monetary policy meeting are currently standing at 78.5 percent, notably lower than almost 85 percent reached at the beginning of May. The US central bank has said as much as three rate hikes are likely to take place this year. The first rate increase was made not too long ago, in March to be precise. In that opportunity, Fed authorities decided to raise by 25 basis points its short term interest rate, leaving it between a range of 0.75 and 1.00 percent. Last week, UBS analysts modified its timing for the two rate hikes still pending for 2017, but they didn’t not change the amount of rate moves due to the political turmoil affecting the new administration. 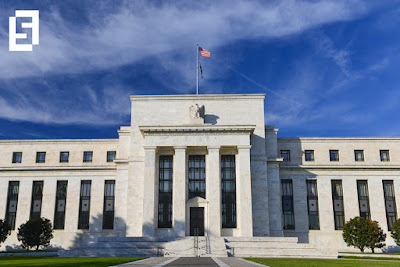 "We are modifying our timing of the two rate hikes this year, from July and December to June and September, in view of the March Federal Open Market Committee minutes that noted that the reinvestment policy will likely change 'later this year'", said UBS team. Economists have pointed out that June seems more like a natural choice for the FOMC, but September should be looked with more caution as some delays are not totally discarded and in that sense, December would look as a possible match. The Federal Reserve has been very clear about its intention to tighten up monetary policy from now on. Cleveland Fed President Loretta Mester has recently said that economic indicators remained strong for the time being and little changes won’t affect their ultimate plan. However, news pointing at Trump for allegedly asking former FBI Director James Comey to drop an investigation into his then-National Security advisor Michael Flynn had a considerable weigh on American equity markets. To be fair, damage hasn’t been light at all and the Dow Jones industrial average suffered the most, plunging more than 370 points. As several GOP members and Democrats voiced critics over President Donald Trump and suggested an independent investigation on the issue, concerns increased that the Republican leader will find a hard wall to pass new legislation in the Congress, especially its long-awaited tax reform, deregulation measures and fiscal spending plan. Despite internal politics and macro data not being at their best, policymakers kept an optimistic rhetoric at the May meeting. While the interest rate was held unchanged, the tone was surprisingly bullish. Not once, Fed Chairwoman said that small variations are not going to change the overall picture for the regulator, meaning June is still part of the game and big choices are just around the corner.